Early Bird Admission on both days! The door prize announcements will start at 9AM and conclude at 4:00PM with our last door prize announcement for Saturday. – 9AM Early Bird Coffee Mug Dragon Ball Z. The door prize announcements will start at 8AM and conclude at 3:30PM with our last door prize announcement for Sunday. 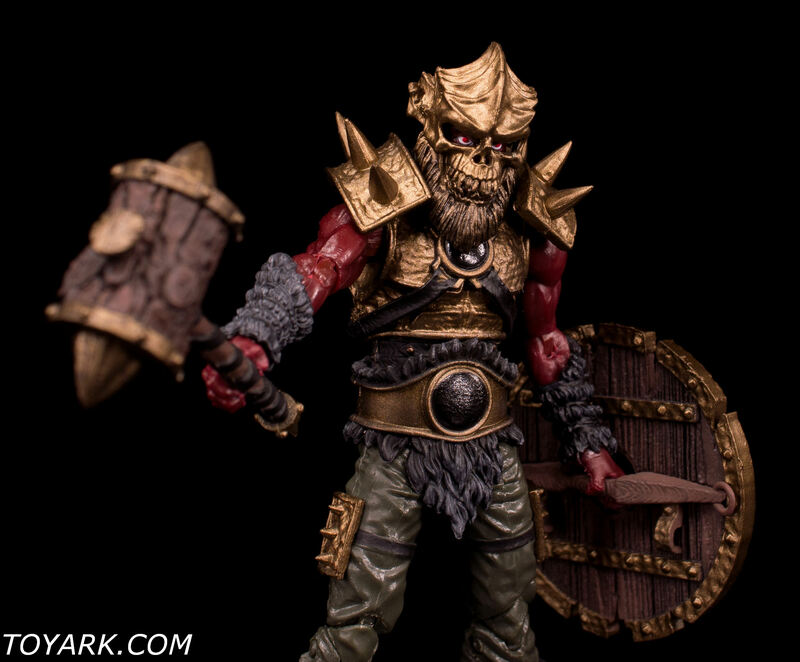 NJCC will also have their very own Boss Fight Studio Series 2 Fantasy Blasted Land Orc! He comes with a slew of accessories including a mace, sword, shield, 4 helmets, alternate head and extra hands. He also comes with spiked shoulder guards and armor for the body. Available at the Boss Fight Studio Booth. The door prize announcements will start at 9AM and conclude at 5:00PM with our last door prize announcement for Saturday. 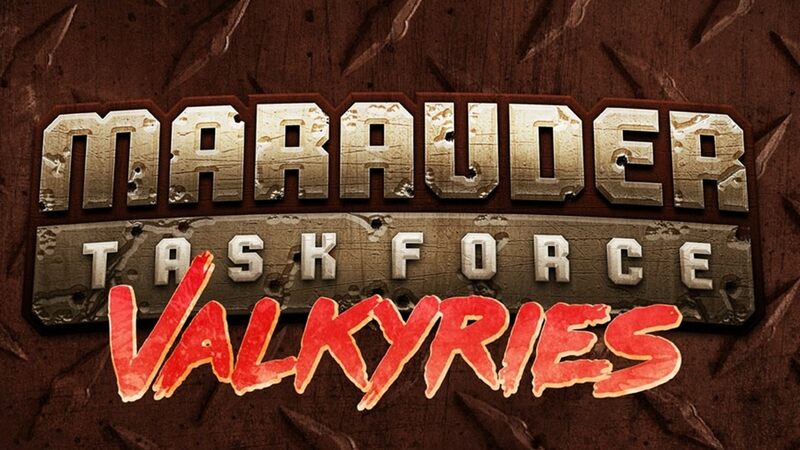 – 5PM MEGA DOOR PRIZE Marauder Task Force: VALKYRIES 1:18 Scale Female Figures All-In Kick Starter Package. The door prize announcements will start at 11AM and conclude at 3:00PM with our last door prize announcement for Sunday. – 1PM LOGAN SDCC 2017 Limited Edition Blue Ray with Vinyl Soundtrack Set! Toyfinity Toys will also be at NJCC showing off products from past present and future including the release for the first time ever at retail Hun Dred! 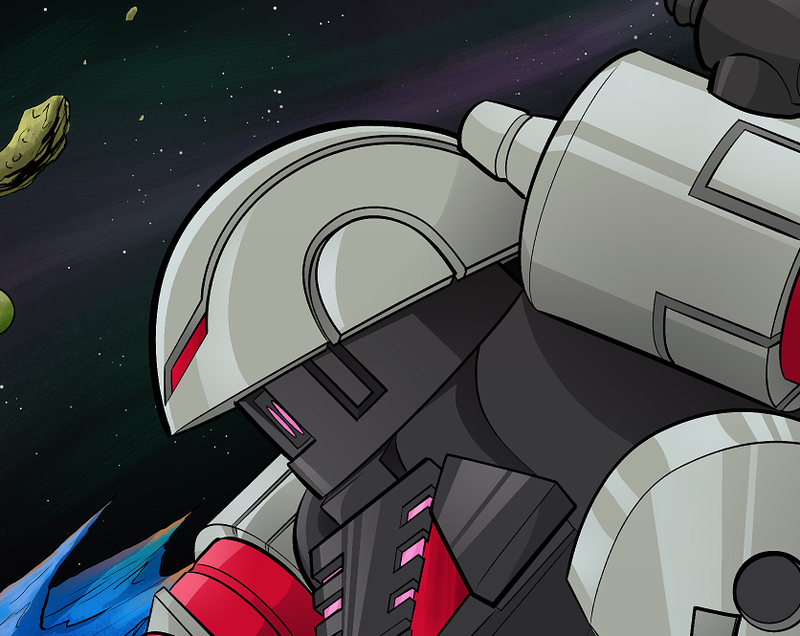 So come check out Robo Force, Manglors, Zeroids, S.T.A.R. Team, and Mordles (formerly known as Rocks and Bugs and Things). Utilizing the *GLYOS* System of interchangeable joints. Marauder Task Force is back and this time they are bringing the heat with the NJCC Exclusive Marauder Task Force Engineer Ops figures! With never ending combinations of customization, awesome articulation, weapons and gear how can you go wrong? Marauder Gun Runners will be set up at NJCC. 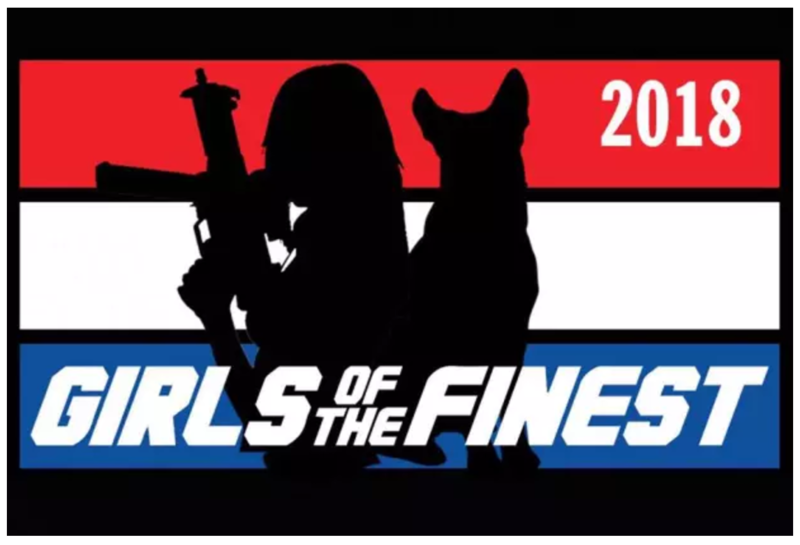 The Girls of the Finest will be crashing NJCC to help raise money for the 2018 Calendar – Helping Vets Get A New Leash On Life! NJCC will also have their very own Boss Fight Studio Series 2 Fantasy Blasted Land Orc! He comes with a slew of accessories including a mace, sword, shield, 4 helmets, alternate head and extra hands. He also comes with spiked shoulder guards and armor for the body. $30 available at retail for the first time at the show. NJCC Summer Event August 12th & 13th Boss Fight Studio Launch Party! NJCC is proud to make our big announcement for the summer action figure toy show. This August 12th & 13th NJCC will be the host to the Boss Fight Studios SERIES 2 Fantasy Line – VITRUVIAN H.A.C.K.S. launch party! Buy Series 2 for the first time in person along side a special BUCKY O’HARE preview station with special guests. There will also be a very special New Jersey Collectors Con, Boss Fight Studios SERIES 2 exclusive figure available for the first time ever at retail. Also of note will be a VITRUVIAN H.A.C.K.S. custom display and other events TBA. The Summer NJCC will also play host to industry guests Marauder Gun Runners; selling the latest and greatest from their line-up, Sunok Studios with Hell Screamerz protypes, test shots and display and Toyfinity with Robo Force, Mordles and more…. Saturday and Sunday, August 12th and 13th 2017! – 10AM Punisher One:12 Collective by Mezco! 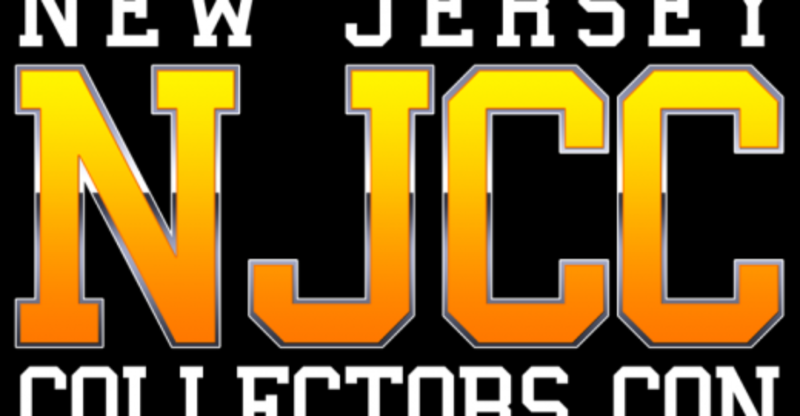 The Spring NJCC 2017 features a huge dealer room for Transformers, Marvel, G.I. Joe, DC and 80’s to current pop culture merchandise! 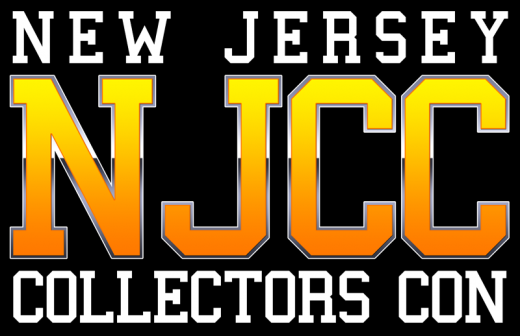 NJCC is an action figure toy collector focused event. 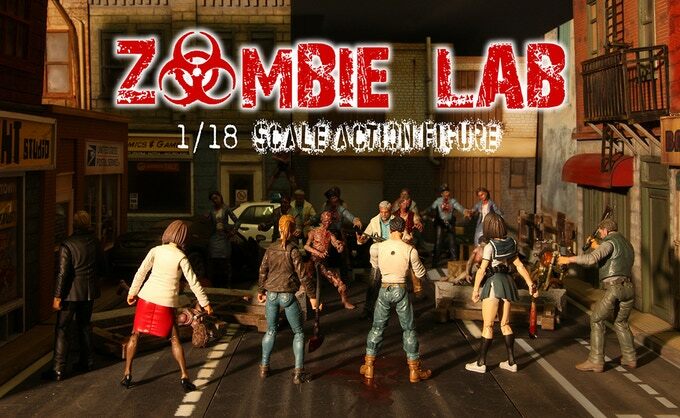 Boss Fight Studio will be our Toy-Action Figure focused Industry guests. Transformers Artist DAN KHANNA and Joe Del Beato will be at the show selling prints, original art, sketchbooks, and taking commissions. – 11AM SDCC 2016 Magic: The Gathering Zombie Box Set! The Summer NJCC 2016 features a huge dealer room for Transformers, Marvel, G.I. Joe, DC and 80’s to current pop culture merchandise! 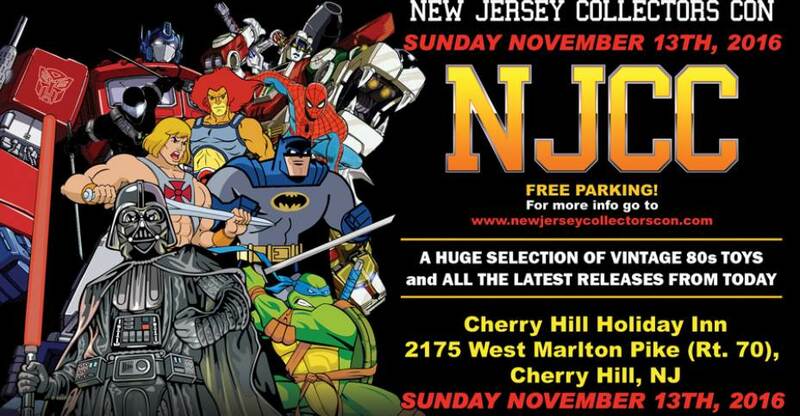 NJCC is an action figure toy collector focused event. Boss Fight Studio along with MARAUDER GUN RUNNERS will be our Toy-Action Figure focused Industry guests. Transformers Artist DAN KHANNA and Andrew Griffith will be at the show selling prints, original art, sketchbooks, and taking commissions along with Walking Dead artist Will Torres. The FINESTT will also be in attendance showing off their cosplay skills! – 9AM G2 Menasor Transformers Combiner Wars Set! 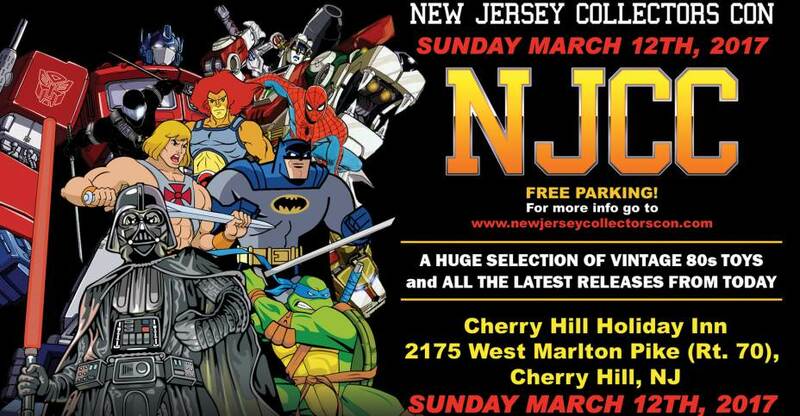 The Spring NJCC 2016 features a huge dealer room for Transformers, Marvel, G.I. Joe, DC and 80’s to current pop culture merchandise! 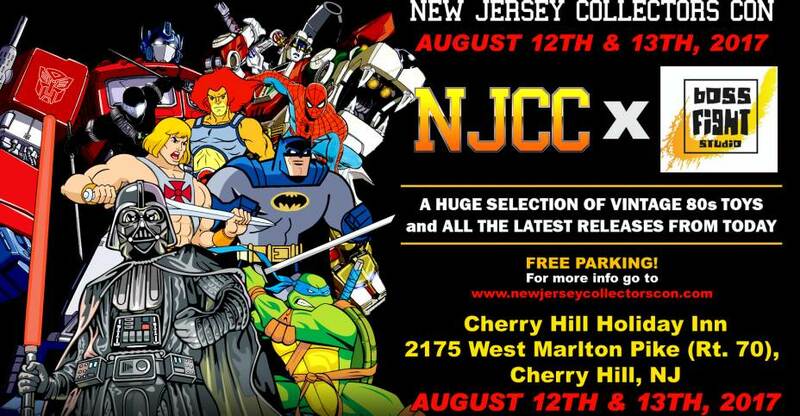 NJCC is an action figure toy collector focused event. Boss Fight Studio and ToyFinity will be our Toy-Action Figure focused Industry guests and Dan Khanna as well as Joe Del Beato will be out featured 80’s comic book artist who has worked on so many of the major brands we love and collect. 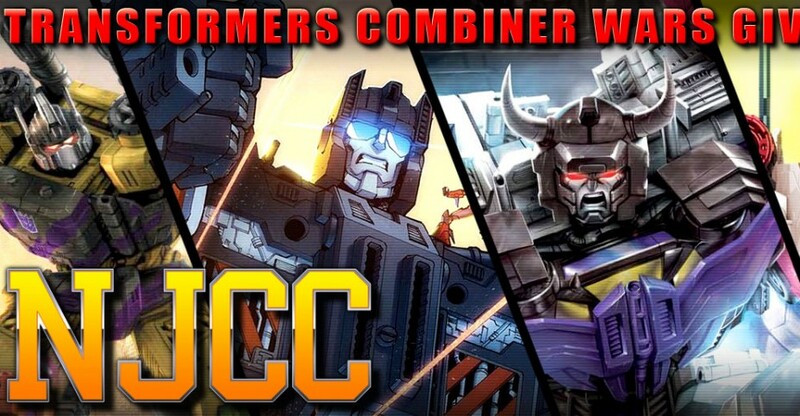 NJCC is proud to announce our huge Transformers Combiner Wars giveaway promotion for our 2016 Spring show. Five complete sets of Transformers Combiner Wars will be up for grabs as door prizes. Kicking off our Spring NJCC 2016 is our first door prize announcement! We will be giving away both the Edge of Spider-Verse and Captain America Civil War waves at the next New Jersey Collectors Con! Two lucky winners will walk away with one of these awesome Marvel Legends waves.